On Labor Day, workers from different industries spoke about what they needed to make their jobs better — rights, benefits, and organizations where they can have each others backs. Nannies Caitlin, Ty, and Robin were there, along with an Uber & Lyft driver, a security officer for Amazon, and a UWMC contact center worker. 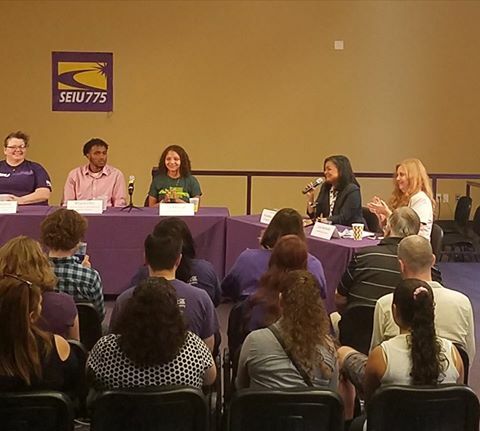 Thanks to King County Councilmember Claudia Balducci, Speaker of the House Frank Chopp, Member of Congress Pramlia Jayapal, and Seattle City Lisa Herbold for listening, participating, and helping lead the way!